With an award-winning career behind him spanning 30 years, Mikeâ€™s reputation precedes him. His extensive experience in real estate sales, management and ownership paired with his open and honest policy has earned him his place in the market. Always going the extra mile, Mike works to achieve the best possible outcome for his clients, aiming to exceed expectations every time. Truly appreciating that every home is different and deserves to be presented as such, Mike specialises in tailoring a bespoke solution to celebrate the exceptional subtleties of a property. 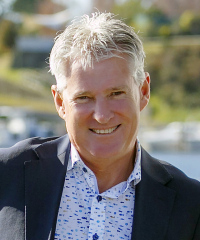 Regarded as a high calibre residential specialist, you can be assured that when listing with Mike, your home will be portrayed with excellence. Mike commits to works closely with home owners, ensuring he treats the property with the same care he would take if it were his own. Contact him today for your property related requirements. Mike marketed my property and sold it within two weeks. Initially we chose Mike because his marketing strategy was professional and clear. He was proactive in presenting the property and kept us fully informed throughout the process. He had helpful suggestions as to the presentation of the house and was at all times positive and constructive. We also bought our new property through Mike and his guidance in the auction process was instrumental in our success. We have found him to be honest, reliable, and approachable yet professional. Our buying and selling experience was relatively stress free and this was, to a great extent, due to Mikeâ€™s handling of both situations. We would have no hesitation in recommending him to anyone going through the same process.